Cork board insulation by SecilVit is a high performance, natural, sustainable and vapour permeable insulation system. Cork Board insulation is made entirely from natural and renewable cork. Use Cork Boards as part of a system, offering a vapour permeable insulation and excellent acoustic performance. SecilVit Cork Board insulation system has LABC (Local Authority Building Control) Approval. 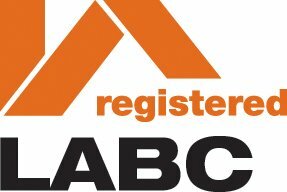 LABC represents all local authority building control teams in England and Wales. Members work cooperatively with building owners, home owners, architects, plan drawers, developers, building contractors and other professionals to ensure buildings are safe, healthy and efficient to meet the standards set by the building regulations. The low thermal conductivity (λ=0.037 – 0.040 W/m.K) of cork board offers high energy efficiency. Therefore contributing to an environmental and economic saving. Using 100% natural cork panels on a building ensures maximum thermal and good acoustic insulation whilst also preserving the environment. Providing natural and sustainable insulation (extracted from the cork-oak tree every 9 years), the cork used in the Cork Board system is a breathable material, free from any chemicals, synthetic resins or carcinogenic materials. This therefore contributes to a natural, healthy environment inside or outside of your home. Cork Boards are available in a range of thicknesses and each board measures 500 mm x 1000 mm. Supplied in packs – the number of boards per pack differs depending on the thickness of board. 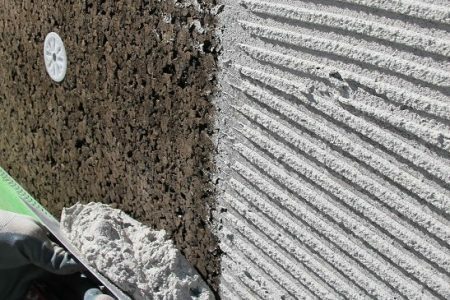 The adhesive mortar Adhere Vit, constituted by natural hydraulic lime and cork aggregates, ensures the perfect compatibility and correct fixing of the insulation cork panels. Completed with the Finishing Render, 100% natural hydraulic lime mortar as an effective protection against weathering. Usee externally and internally. Contact us to discuss quantities and application or click on the Documentation tab below for more information.